The North-east Flagstaff Garden Playground is to be renewed by the City of Melbourne in the 2012/2013 Budget year. 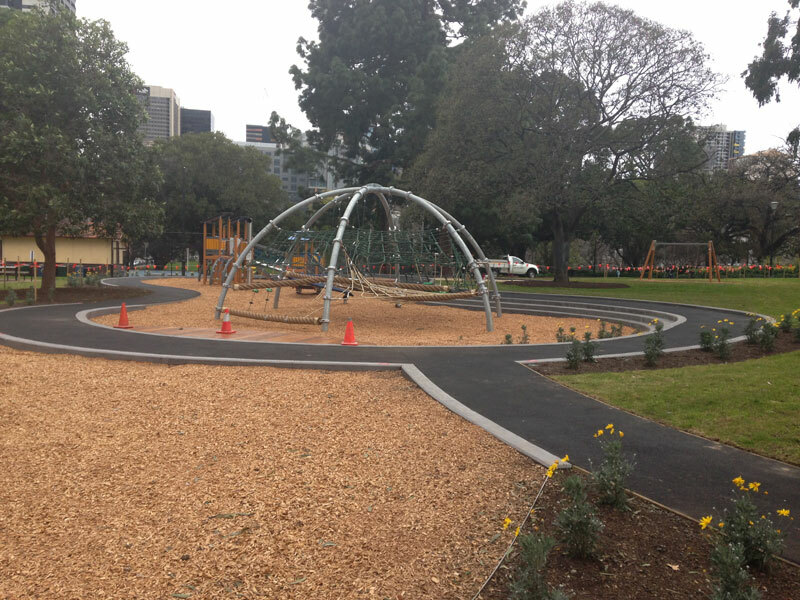 The Playground is located in the north-east corner of the Gardens, close to the intersection of Dudley Street and William Street. The Playground is heavily used and in particular by large groups of children on visits to the City. Most existing equipment is out-dated and does not provide good play experience and will be disposed of. Some recently installed equipment will be relocated or retained. We were extremely happy with the quality of concrete work done on this site.